This 4 Days Uganda safari is a perfect holiday package that takes you to Bwindi Impenetrable National Park and Lake Bunyonyi Uganda. Once you take on this safari tour, this safari will reward you an experience of a Uganda gorilla trekking safari in Bwindi Impenetrable Forest and a Uganda birding safari plus canoeing experience along the magical views of Lake Bunyonyi. Day 2: Do a canoe ride on Lake Bunyonyi and transfer to Bwindi National Park. Day 4: Return to Kampala. Day 1; Transfer to Lake Bunyonyi. This day will start early in the morning after your breakfast at the lodge. You will leave Kampala and transfer to Lake Bunyonyi, found in Kabale region commonly referred to as the “Switzerland of Africa”. Your journey to Lake Bunyonyi will take about 8-9 hours driving about 489km. you will however break this long journey at the Equator for a polar water experiment, photographs and also stand a chance to see the area which separates both the Southern and Northern Hemispheres of the world. Have another stopover in Mbarara town for lunch after which you will continue to Lake Bunyonyi; the deepest lake in Uganda and the second deepest in Africa situated close to the borders of Uganda and Rwanda. Check in your accommodation in Lake Bunyonyi, dine and have your overnight stay there. Day 2; Do a canoe ride on Lake Bunyonyi and transfer to Bwindi National Park. After breakfast, you will set out for a hired canoe cruise on Lake Bunyonyi where you will travel around Lake Bunyonyi as you search for different bird species on over 29 Islands of the Lake. Later return to the Lodge for lunch and transfer to Bwindi Impenetrable National Park in the afternoon where you will do your gorilla safari Uganda. Have dinner, relax and overnight. Early morning after breakfast at the lodge, you will go for a Uganda gorilla trekking safari briefing from the Uganda Wildlife Authority park rangers. You will be given a guideline booklet which you will go through and know how you have to behave while in the forest with or near the gorillas. Bwindi Impenetrable forest is so spectacular that it offers a good view of the forested landscape which is incredibly dense and intersected by a numerous animal trails allowing access to tourists to see the gorillas. You are reminded to take with you your packed Lunch and water because the time taken to see the Gorillas varies according to the movements of the Gorillas so it may take 2-8hours. 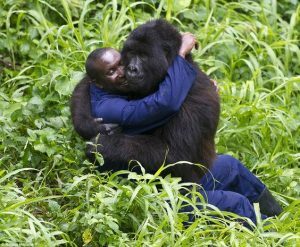 The experience got from seeing the Gorillas is so exciting and unforgettable so enjoy your 1 hour that will be given to you to spend with these gorillas. Return back to your lodge for refreshments, dinner and overnight. Day 4; Return to Kampala. After an early morning breakfast, you will drive back to Kampala with a stopover in Mbarara town for lunch. Please note that this itinerary can be twisted to enable you track gorillas first and then Lake Bunyonyi last.